The 6th International Meeting on Synthetic Biology (hashtag: #SB6Conf), the world’s foremost synthetic biology (SynBio) meeting, is currently running in London, organised by the BioBricks Foundation, a non-profit organization based in Cambridge, Massachusetts. BioBricks Foundation SB6.0 Co-Chairs include Professor Paul Freemont and Professor Richard Kitney of Imperial College, who will lead a new £10 million innovation and knowledge centre, to be called SynbiCITE, aimed at providing a bridge between academia and industry and announced at the conference by David Willetts, Minister for Universities and Science. Imperial College is home to the UK Centre for Synthetic Biology and Innovation a £9m investment aimed at propelling the synthetic biology field forward and promoting SynBio start-ups. International collaboration and networking are important aspects of the meeting, along with poster presentations and ‘lightning talks’ from world leaders in the field of SynBio research. "Synthetic biology has huge potential for our economy and society in so many areas, from life sciences to agriculture. But to realise this potential we need to ensure researchers and business work together. This new Innovation and Knowledge Centre will help advance scientific knowledge and turn cutting edge research into commercial success." "Synthetic Biology could be the next ‘industrial revolution’ for the UK, where tiny devices manufactured from cells are used by us to improve many facets of our lives. From producing new, more sustainable fuels to developing devices that can monitor or improve our health, the applications in this field are limitless." The exciting and emerging field of Synthetic Biology research combines the disciplines of engineering and molecular biology to design and build novel, biologically-based parts, devices, and sensors, as well as the re-engineering of existing, natural biological organisms. Synthetic Biology has the potential to deliver important new applications, from detecting the early onset of disease and improving existing industrial processes, food production, green fuels, and developing therapies to fight harmful bacterial infections or cancers. Much of the future success of synthetic biology is incumbent upon the development of standardized SynBio components that can be combined in predictable and repeatable ways. The precise approach used when fabricating a BioBrick component depends on the fabrication method (PCR or direct synthesis) as well as the type of part being constructed (a standard part or protein coding sequence). SyntheticBiology.org maintains a nice introduction to Synthetic Biology as well as a useful how-to guide on the subject of constructing novel BioBrick parts for submission to the Registry of Standard Biological Parts. Bioline makes it easy to harness the power of new generation enzymes to create parts for BioBricks using PCR. We manufacture and supply a range of high-performance PCR and molecular biology cloning tools, enabling researchers to drive their synthetic biology projects forward. Some of our most popular, most frequently used products for leading synthetic biologists presenting at SB6.0 (1, 2) include the High-Fidelity Velocity DNA Polymerase, MyTaq HS DNA Polymerase for Colony-PCR, Competent Cells, Quick-Stick Ligase for TA Cloning, ISOLATE II Plasmid Mini Kits, and our acclaimed range of SensiMix™ and SensiFAST™ Real-Time PCR kits. If you've been attending the #SB6Conf in London this week, let us know if your poster cites any Bioline reagents and your synthetic biology research work and achievements could be showcased in a forthcoming SynBio article on the Bioline blog. And if you’re one of the IGEMers attending the conference, don’t forget to check out our Gem of an offer for iGEM Teams! One final note regarding the future of synthetic biology and the synthetic biologists of the future, you can keep up to date with all the latest news from the iGEM SynBio research teams around the world by following the international iGEM Teams Twitter list maintained by us @ThePCRCompany. This month's Bioline Scholar takes its theme from the recent January 26 Australia Day celebrations. Australia Day traditionally marks the anniversary in 1788, when Captain Arthur Philip and the First Fleet arrived at Port Jackson, now part of Sydney, New South Wales, to establish the first European settlement. 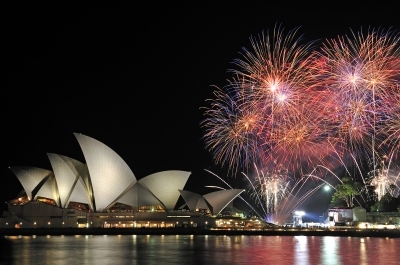 The holiday is an opportunity for Australians to celebrate the founding of the country and its culture. Bioline is also privileged to call Sydney home. For 10 years, Bioline Australia has been proud to be a primary manufacturer and supplier of best-in-class molecular biology tools to the leading research universities and institutes in Australia. Bioline's new R&D facility in the Australian Technology Park in Sydney was officially opened by the Hon. Verity Firth MP (Minister for Science and Medical Research) in November 2007. For those interested, photos from the launch are available here. We thought the Australia Day celebrations might be a good time to highlight some of the scientific achievements of our antipodean cousins, so this month's Bioline Scholar features a selection of interesting, recently published papers from scientists 'down under'. In this study from The Australian National University in Canberra, commensal E. coli strains of mountain brushtail possums were quantified at both the host population level and within individuals. E. coli strains were identified using rep-PCR profiling and quadruplex PCR. A high level of temporal variability was found. Luter, H.M. et al. (2012). Thermal and sedimentation stress are unlikely causes of brown spot syndrome in the coral reef sponge, Ianthella basta. PLoS ONE 7(6): e39779. Brown spot lesions currently affect a large population of I. basta, an ecologically important sponge species on the Great Barrier Reef. Researchers from the Australian Institute of Marine Science at James Cook University found changes in the microbial community of I. basta to be stable. Thermal and sedimentation stress were not likely to be responsible for the syndrome. In this paper from the Monash Institute of Medical Research in Melbourne, the effects of different mitochondrial DNA haplotypes on differentiation and development were studied using embryonic stem cell lines. In conclusion, mitochondrial DNA haplotypes play a pivotal role in the process of differentiation and mediate cell fate. Researchers from St Vincent's Hospital and the University of Technology, Sydney identified nine different genetic subtypes of Blastocytis, a genus of Protozoan parasite, in different animal species in NSW. Blastocystis was identified for the first-time from the eastern grey kangaroo, red kangaroo, wallaroo, snow leopard and ostrich. Further investigation into the genetic diversity of Blastocystis may help identify the zoonotic potential of Blastocystis. In this work from the National Centre for Marine Conservation and Resource Sustainability, University of Tasmania, mRNA sequences from the RAG-1 and IgM heavy chain were analysed from the striped trumpeter (Latris lineata). The expression of the two genes was assessed throughout the early developmental stages of striped trumpeter larvae and used as markers to follow the ontogeny of the adaptive immune response. That's it for this edition of Bioline Scholar! If you have published research using Bioline products, then get in touch, tell us and your paper could make it into a future edition of Bioline Scholar. The groundbreaking discovery by Sir Alexander Fleming of the first antibiotic penicillin in 1929, and its subsequent isolation by Ernst Chain and Sir Howard Florey in 1939, led to the award of the Nobel prize in 1945. This discovery revolutionized modern medicine, paving the way for the development of many more natural antibiotics such as chloramphenicol, streptomycin and tetracycline. These antibiotics were effective against the full array of bacterial pathogens including Gram-positive and Gram-negative bacteria, intracellular parasites and Mycobacterium tuberculosis. However, over the past several decades, bacteria have developed resistance to existing drugs. Drug resistance by so-called "superbugs" is a severe public health problem, whilst development of new generation anti-microbials faces great challenges. Earlier this year, the WHO released a sobering update on drug-resistant TB; it was reported to be at the highest rates ever recorded. Methicillin-resistant Staphylococcus aureus (MRSA) is one of the most important nosocomial pathogens. For example, an estimated 89,785 invasive MRSA infections were associated with 15,249 deaths in 2008 in the United States. Even when the infection is successfully treated it can double the average length of a hospital stay and thereby increase healthcare costs. MRSA is able to produce a range of unique toxins causing severe infections such as endocarditis, osteomyelitis, pneumonia and septic shock in patients with open wounds, invasive devices and weakened immune systems. One part of the problem is that bacteria and other microbial pathogens are very hardy and have developed different antimicrobial resistance mechanisms. Several interesting acronyms have been coined to describe the range of resistance from multi-drug resistant (MDR), extensively drug resistant (XDR), to totally drug resistant (TDR). The increasing use and misuse of existing antibiotics in human and veterinary medicine as well as agriculture has also exacerbated the problem. Antimicrobial resistance is genetically based; resistance is mediated by the acquisition of extrachromosomal genetic elements containing resistance genes, such as plasmids, transposable genetic elements and genomic islands, which are transferred between bacteria via horizontal gene transfer. Last month, a new study published in the New England Journal of Medicine was able to identify which isolates of MRSA were part of a hospital outbreak using whole genome sequencing. Scientists from the Wellcome Trust Sanger Institute, University of Cambridge and Illumina sequenced the isolates within a timescale that could influence infection control and patient management. The authors created an artificial "resistome" of antibiotic-resistance genes and demonstrated concordance between it and the results of phenotypic susceptibility testing. They also created a “toxome” consisting of toxin genes. Bioline offers a range products for use in microbial research and below we document some of the publications in which Bioline reagents were used to advance research. The Petez-Osorio group used ImmoMix Red to describe a multiplex PCR method, the Mycobacterial IDentification and Drug Resistance Screen (MID-DRS) assay, which allows identification of members of the Mycobacterium tuberculosis complex (MTBC) and the simultaneous amplification of targets for sequencing-based drug resistance screening of rifampin-resistant (rifampinr), isoniazidr, and pyrazinamider TB. This MID-DRS assay reduces the time necessary for initial identification and drug resistance screening of TB specimens to as little as two days with reduced assay costs, preparation time and risks due to user errors. The Rosato group at the Center for Molecular and Translational Human Infectious Diseases Research, Methodist Hospital Research Institute in Houston, USA conducts translational research focusing on multidrug-resistant bacterial pathogens. The aim of their study was to identify the molecular genetic causes of drug resistance and resistance gene spread in MRSA. In this paper, Dr Rosato’s group used DNA microarrays and qRT-PCR to evaluate differential gene expression during HeR-HoR selection and found increased expression of the agr two-component regulatory system. Their findings reinforce the concept that increased expression of agr during HeR-HoR selection plays a critical role in regulating the ß-lactam-induced increased mutation rate in very heterogeneous MRSA strains. In another exciting paper from Dr Rosato’s group at the Methodist Hospital Research Institute, Houston, they teamed up with researchers from Virginia Commonwealth University and Cubist Pharmaceuticals to investigate the molecular basis of resistance to daptomycin (DAP), a new class of cyclic lipopeptide antibiotic highly active against methicillin-resistant Staphylococcus aureus (MRSA) infections. Proposed drug mechanisms include disruption of the bacterial membrane wall. Differential gene expression analysis using SensiMix One-Step Kit also showed up of the two-component regulatory system vraSR. Crucially, this effect was related to the impact of vraSR and mprF mutations in the cell wall. Their work underscores the suggestion that alterations in these two genes contributes to DAP-resistance in this group of clinical MRSA strains. The Morrissey group at the University of Leicester, UK conducts research into microbial genetics. One of their major areas of investigation is the Staphylococcus aureus adaptive response to antibacterial copper. Their results shows copper resistance varies considerably between clinical strains due to the carriage of an additional plasmid-encoded copper homeostasis mechanism, copBmco. Importantly, this plasmid has the potential to spread to other S. aureus strains. This is the first time that plasmid-encoded copper resistance has been reported and shown to be transferable between pathogenic bacteria isolated from humans. The aim of this study at St. Vincent’s Hospital in Australia was to determine the utility of molecular methods compared to selective agars for MRSA detection. The conclusion of the van Hal group was that molecular detection methods for MRSA remain sensitive and rapid, but are associated with greater expense.